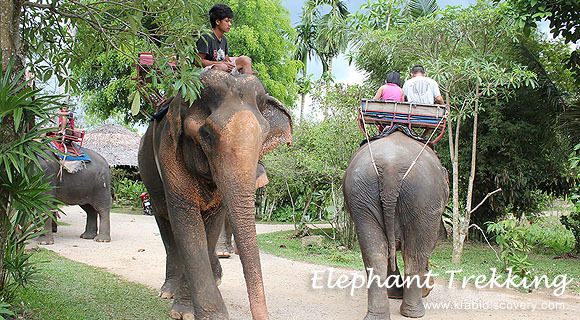 Elephant is seen as a symbol of the nation and a talisman for the Thai people. With their wrinkly gray skin and swaying trunk, they are a fascinating combination of brute force, gentleness and remarkable agility that inspires both respect and affection. Elephant calves begin their training when they are about four years old. They quickly learn and obey the words of command. 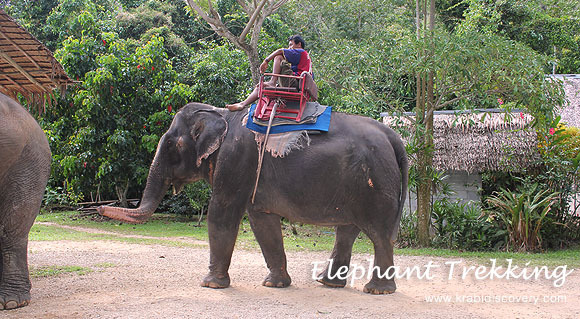 They get to know their driver (mahout), and get used to being mounted and dismounted. 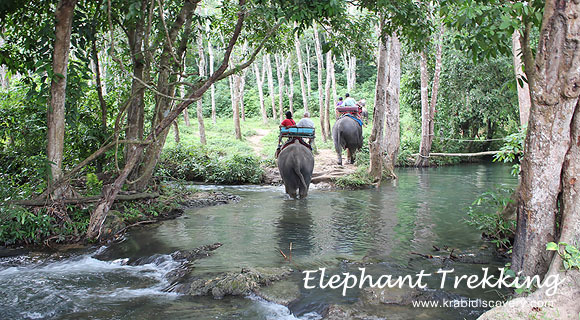 With elephants fast disappearing from the wild in Thailand, the best place to see these fascinating animals up close is in a trekking camp. 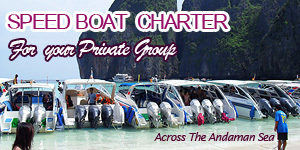 There are only a few camps in Krabi, such establishments must follow strict guidelines as set by the National Livestock Department regarding the provision of adequate food, water and shade for their animals, as well as proper health care. 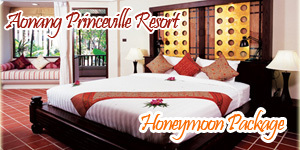 A trek will allow you to experience this first-hand, as well as the animals’ natural forest environment. Carrying tourists for fun means the elephants are able to earn their keep, while living as freely as is possible : as there is not enough space to release them into the wild, and they are very costly to feed (eating up to 300 kg of food per day) if not the only alternatives for these gentle giants are begging, illegal logging, or inactivity in a zoo.